Every year since 1995, the Laguna Board of REALTORS® Charitable Assistance Fund and Affiliates have organized and hosted “A Taste for Charity.” This epic event brings together local artists, restaurants and merchants who generously contribute their talents and creations for the benefit of select nonprofit organizations right here in Laguna Beach. This year’s event took place on May 16 and set a new record for attendance and proceeds generated. With a retro theme dubbed “Follow the Call to the Disco Ball,” there was shoulder-to-shoulder grooving on the dance floor with moves not seen since the ‘70s. 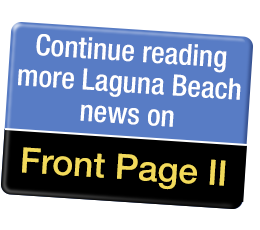 For those of a certain generation, it was a chance to bust out some funky outfits and platform soles, all the while being refreshed and nourished by 13 of Laguna’s finest eating establishments. Needless to say, there were a lot of smiling faces. Of course, the real purpose of the event is to raise money and awareness for some of the most deserving charitable organizations in Laguna Beach. Paddles were held high when it came time for the bidding and this crowd reached deep into their pockets for the 100 pieces that were sold. The final tally came in at over $106,000. Wayfinders (previously Laguna Beach Youth Shelter) – Providing emergency shelter, counseling and short-term crisis intervention programs and services to children 11 to 17 years of age. Your local real estate professionals, consisting of 50 volunteers, worked tirelessly to put on a terrific event for such a worthy cause. About 100 artists and merchants, and 13 restaurants donated their time and goods.